0ver 50 alumni and partners travelled to Verbier for the twentieth year in a row to celebrate INSEAD spirit in a friendly and sporty atmosphere. They were welcomed by event organizers, Isabelle Schirmer, MBA’94D, Yves Haldemann, MBA’94D, and Philippe Mauron, MBA’95J, along with Alexander Wyss, MBA’01D, President of the Swiss National Alumni Association (NAA), and his wife Barbara. “It was great to welcome so many alumni, especially to see the large number of younger alumni,” said Isabelle Schirmer, who lives almost year-round in the renowned Western Switzerland alpine resort. 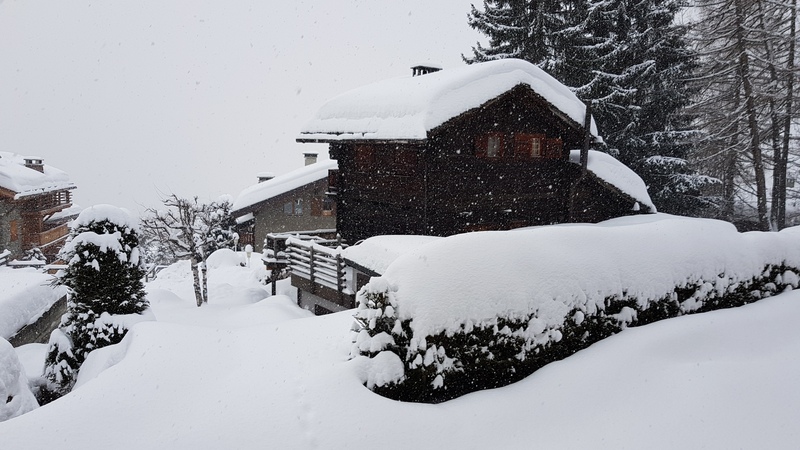 Four different sports acti vities were enjoyed in fresh and plentiful powder snow, including Extreme Skiing for early birds, Easy Skiing for more relaxed participants, Ski Touring for the adventurous and snowshoeing for the wilderness lovers. Later, the group gathered at Scalco Restaurant after engaging with Danilo Bertocchi, Enterprise Sales Manager, Tesla, Switzerland, who shared his expertise on energy trends, e-mobility and innovation. Indeed, the Verbier tradition will go on. The 21st edition takes place January 18 to 20, 2019. Join the annual sporty fun! We welcome all new participants and volunteers to participate in the organisation of the 2019 edition.